Great tasting and only 1 net carb per slice. If you're following Weight Watcher Plus there's only 2 Weight Watcher Plus points per slice. This product is kept frozen in our Netrition warehouse until the day it ships. It is strongly recommended to freeze this product upon receipt. We also carry the Dinner Rolls, Low Carb Onion Pockets, Low Carb Pizza Crust, Low Carb Hot Dog Buns, Low Carb Bagels, Low Carb Crackers and Low Carb Hamburger Buns by Great Low Carb Bread Company. 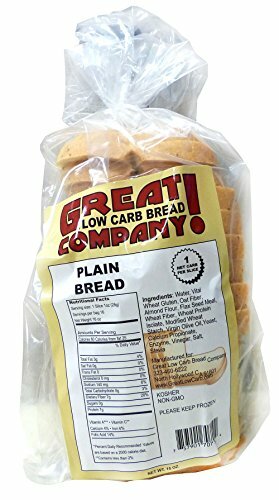 If you have any questions about this product by Great Low Carb Bread Company, contact us by completing and submitting the form below. If you are looking for a specif part number, please include it with your message.